One of our favourite parts of running Talented Ladies Club is meeting women and hearing their stories – how they make their lives work (and equally, sometimes how they don’t). Honesty has always been important to us. If we all pretend that we have it easy, then we’re all left assuming that there’s something wrong with us and our lives if we don’t always get it right. So we love sharing other mothers’ experiences of making their life work. 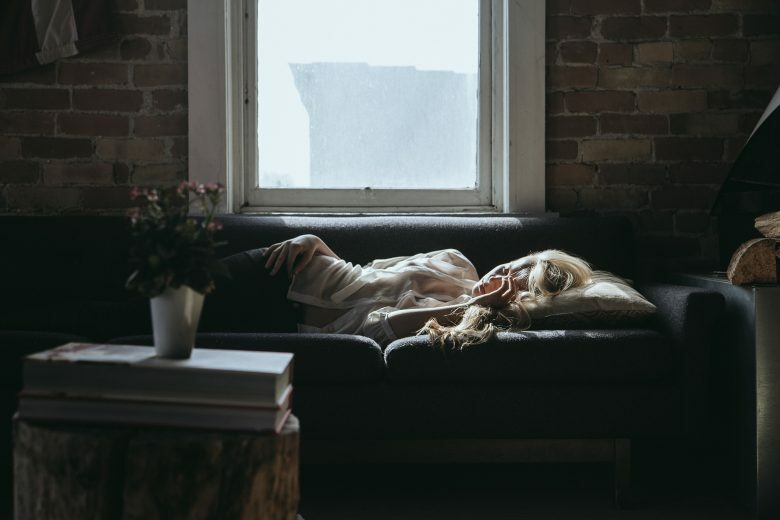 In this blog, financial journalist Samantha Downes reveals how, while she may have got everything she wanted, she’s exhausted. I am exhausted! And I’m not talking about sleep deprivation, because most nights I’m in bed by 9.30pm. Although I get up around 5-5.30am and I get the odd disturbance from my three year-old daughter, on the whole I do get a reasonable amount of kip. Not quite the full eight hours but enough. I am exhausted for other reasons, not least in that I have spent the past nine years attempting to do everything. And I mean everything. I have two beautiful daughters and was lucky enough to be able to work from home (full time in fact) when both of them were young. I even managed to breast feed them – including while I was working. And I’ve been motivated enough to make sure I keep healthy (hence the early starts) and stay relevant as a journalist rather than having to sideline myself into another career. I didn’t have to do all this. My husband has a perfectly good, well-paid job and even runs a food company on the side. I could freelance from home and have a nice little life. We might have to reign in our belts (as in not try and save any money) but we would do it. On the whole I’ve managed to live the dream. I have a happy marriage and I have been lucky to persue my career ambitions (I’m on the verge of potentially realising one I have had for 20 years). My children are healthy and happy. And, and and…. But I feel knackered. Which is shame because I now have to got a stage – my youngest will start school in September – where things are getting easier. Financially and physically, as we will be £600 a month better off because we will no longer pay childcare costs from this July. I have thought about having baby number three and just throwing it all up in the air again. But I’ve seen enough tired, pregnant women in their mid 40s to put me off. It sounds vain and selfish, but at 45 I want my body back and I want to hang on to the youthful glow (the one I’m told by my friends I have) as long as I possibly can. There is a big difference completing your family in your very early 40s and I did, and your mid 40s. Namely that age when you turn 60 before your child turns 18. I’m sorry if I offend anyone but that for me is my cut off point. Maybe I just need a long holiday? Maybe I need to be kinder to myself? To step back and look at what I’ve achieved. Some of my drive comes from having seen older relatives – women now in their 70s and 80s – who tell me they lament giving up what little career they had to stay at home. My mum doesn’t have great riches (she lost her home during the recession of the 1990s) but she still has that spark – and I think it’s because she still has to work and make an effort. She has no regrets though. But maybe I really need to re-assess what I’m doing all this for. Is it my daughters? To give them a role model. Am I living some vicarious dream? One female relative worked in advertising for eight years some 50 years ago and still regrets not following her dream of being a journalist. Is it to prove something to the teacher who told me I wouldn’t make it as a journalist? I was told I couldn’t write at the age of 15 (it didn’t stop George Osborne though). Is it so I don’t become one of ‘those mums’? ‘Those mums’ being someone who feels bitter that they have given up a career for their children and are determined to persecute other mums who haven’t. I guess it’s all and none of these things. But most I don’t want to end up dead behind the eyes – a look I’ve seen on women who have given up on following their own dream because society (or their parents) has or have convinced them that having children is the zenith of their existence. My children will grow up – and turn 18 before I turn 60 – and I guess I’m doing all this for them as much as me. And that for now, is enough.